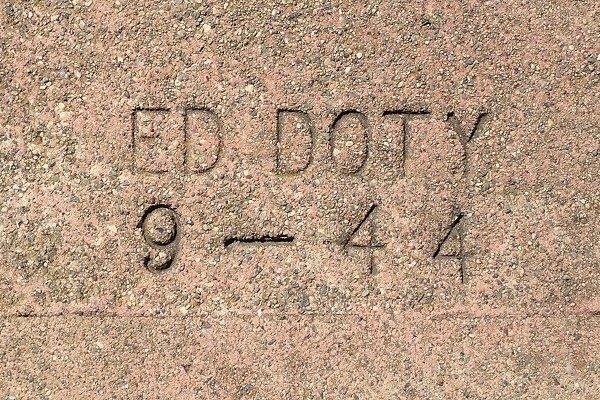 This straight mark was used by Ed Doty even after he adopted the “Master Concrete” stamp in 1937. 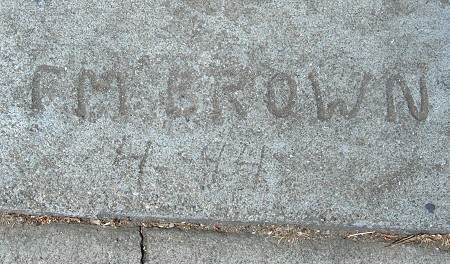 With this example, I’ve documented each year from then up to 1944. 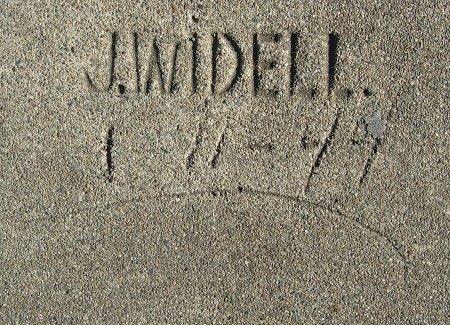 If I find a 1945 example, that will complete the set. 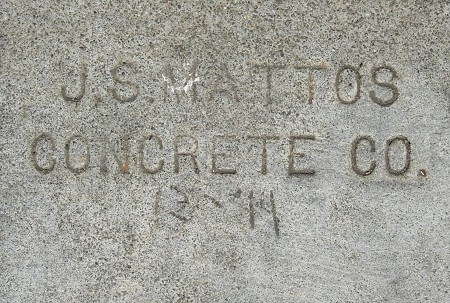 1944 – J. S. Mattos Concrete Co. 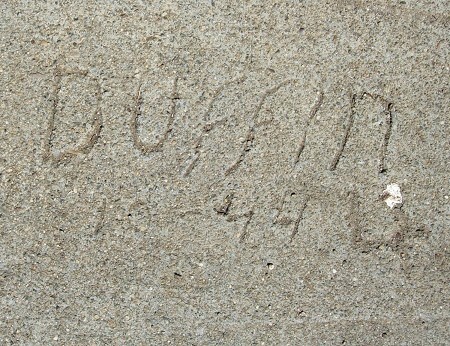 Dated marks from J. S. Mattos are very rare. 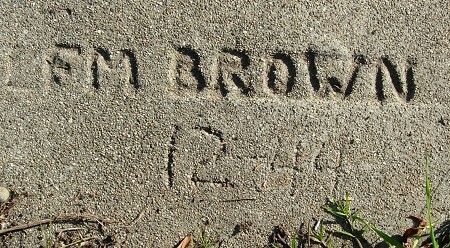 F. M. Brown may have been the same guy as Frank M. Brown, but if he was I don’t know why he used two different stamps during the same years. 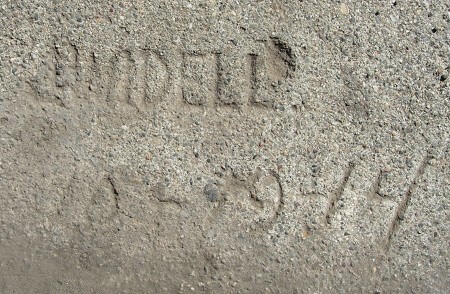 My previous dated examples are all from 1944, but it wasn’t clear until I saw this one that he used an actual stamp instead of (or besides) doing them by hand. Maybe he had a solo practice as well as his contractor’s practice. This clears up the mystery of the incomplete example I documented a while back. This is next to the city pool.